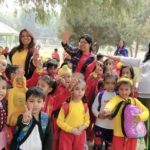 Ms. Amrit Kalsi and Principal Ms.Anjli Sharma. 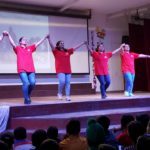 A fabulous dance performance on the beat of ‘Ghumar’ song from Padmavat by Ms.Harpreet Suri thrilled the excited young minds. A prize distribution function to facilitate the winners of Inter School Photography Competition and Inter Class Logo Designing Competition was also held. 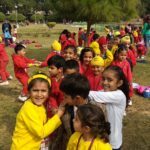 In her speech Principal Ms. Anjli Sharma greeted the students and stressed upon the need of being physically and mentally fit, being kind and patient to parents and spending quality time with them whenever possible. Later the children had class parties and enjoyed cookies arranged by the Management. 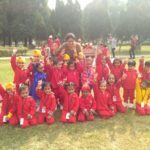 Toddlers- attired in their party dresses were welcomed by their respective Class teachers. 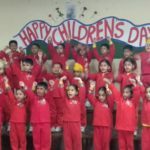 Pre Nursery B under the guidance of Ms.Sangeeta Nanda held the morning assembly on Children’s Day and were later taken for a picnic to the Rose Garden Mohali. 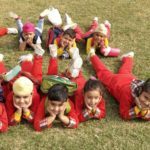 Chairman Mr. Karnail Singh Brar congratulated the children and applauded the effort of teachers to enthrall their students.